A loan of $1,225 helped to buy a large amount of meat. Tigran is 45 years old and he lives in Vanadzor city in the Lori region. He has a vocational education and the only source of income for his family is his butcher’s business which he is already been doing for 15 years. He works at the food market where he rents a stall and sells meat which he buys from several farmers from nearby villages. The meat that he buys he knows is always fresh and clean. He is very attentive also to keeping his working place clean and accurate, so his customers are many and they know the meat they buy from him is of good quality and safer. 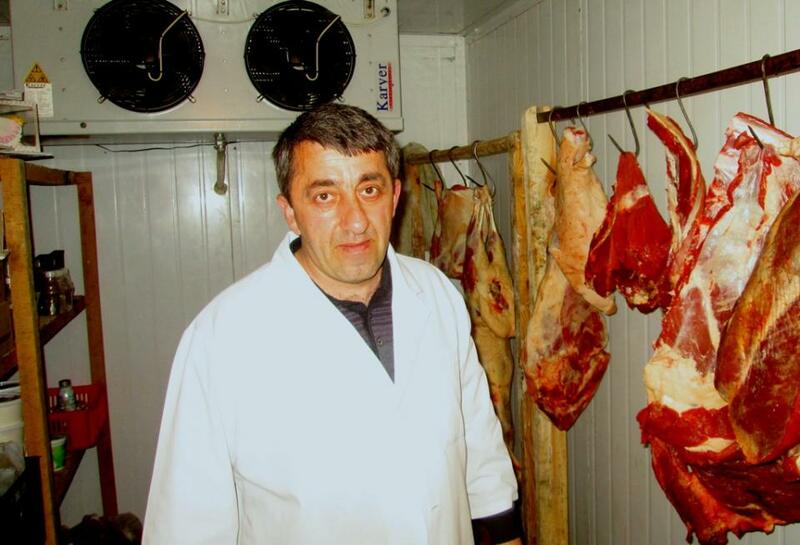 Tigran asks for this loan in order to buy a large amount of meat which he will store and gradually sell to his customers, the income from which he hopes will help him to overcome the costs of his children's school graduating activities (school graduation party, new dresses, etc. ).